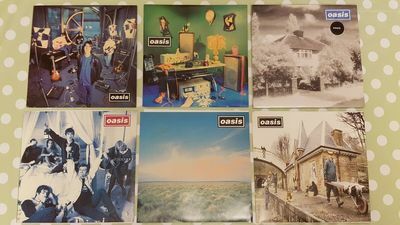 A rare chance to get hold of the complete UK Oasis 28 singles collection. This is very hard to come by as a complete collection, grab your chance to bid and hopefully win this rare piece of Britpop history. They are all in plastic sleeves for protection, they have been very well stored and looked after, some are factory sealed and some are limited numbered editions. The first four have been played but still in very good to excellent condition, the Hindu Times has a 1 centimetre peeling of lacquer where price tag was removed. The rest of the singles are all unplayed. The reason for sale is that I have a second set.